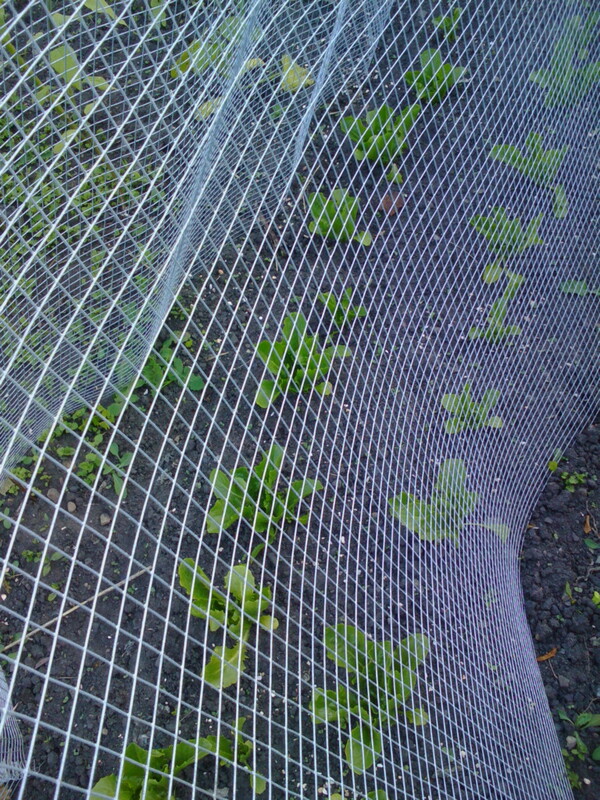 This mesh is approx 10ft long and arranged in a triangular prism so that it can allow plants to grow tall underneath as necessary. Now, it is over the blueberries as Blackbirds and thrushes will gobble the lot if left unprotected! 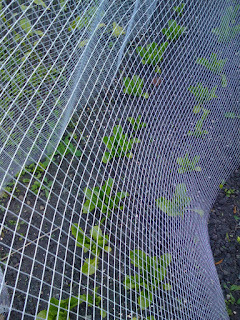 Some of our allotment neighbours have a problem with pigeons going after cabbages, however this only seems to be in the more "open" allotments, ours has hedges around and I think that it is the enclosed nature of the allotment that pigeons do not like - in fact I have seen pigeons sitting on the fence at the back, having a nosy and then ignoring our cabbages in favour of ones in a more open allotment! As is said in this earlier post disguising crops by planting flowers in amongst them is a good idea, and I have also found that garlic and onions in with carrots will help reduce carrot flies (the best defence is height! ), some people use very small knit mesh or fleece. Garlic barrier spray works well on peas and beans and damsons to some extent.